A self-proclaimed “townie” and farmer’s girlfriend for just shy of three years, I’ve grown fond of my purple welly boots. I’m proud of the fact that said boots now boast the scuff-marks and caked-on muck that demonstrate my willingness to get stuck in. I’ve learned that where there’s livestock, there’s grime, and that function takes priority over fashion when dressing for the farm. That said, I love an excuse to get “all dolled up,” too. When it comes to makeup in particular, I like to know which products are worth investing in — the mascara that won’t clump, or the fool-proof fake-tan that, no matter who puts it on or where, will not result in the streaky-bacon look. So that I’m well-versed in these sorts of things, I follow a few beauty bloggers, one of whom is Suzanne Jackson, of “So Sue Me” fame. This apparently upset Jackson, who took to Snapchat afterwards to apologise to her legions of fans for what she claimed was her “worst interview ever,” due to her being “totally thrown” by the news of the fate that awaited the little creature with which she shared some screen time. 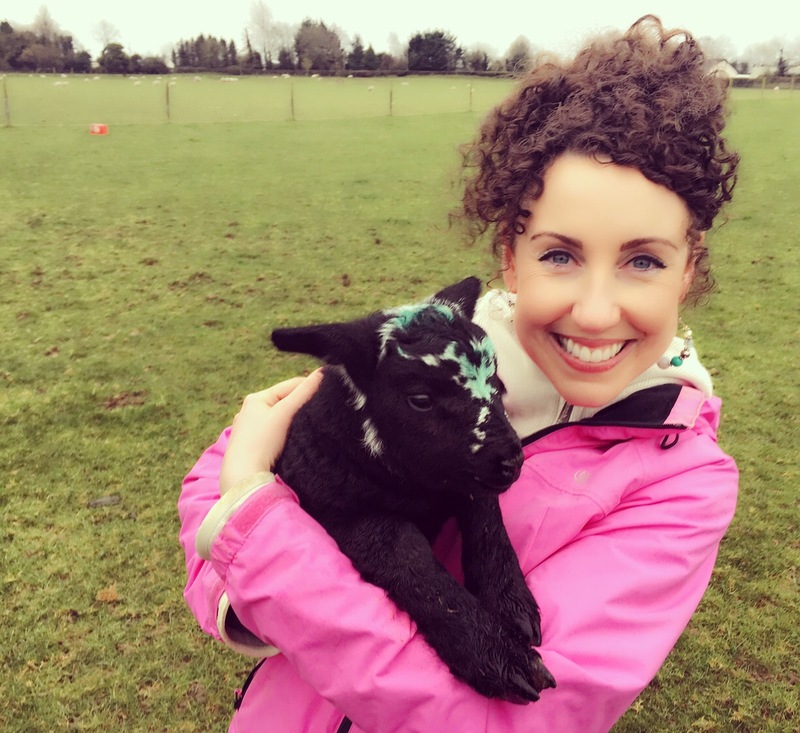 There’s been debate over whether or not the beauty blogger was made aware ahead of time that there would be a segment on lambing in the first place. If it was the case that she was completely blindsided, then perhaps her upset is somewhat understandable. Jack is a dry stock farmer with responsibility for suckling cows and sheep, and we’re in the midst of our third lambing season together. Come this time of year, I love to look out and see the little creatures hopping and skipping across the fields, their tails waggling a mile a minute, climbing on top of their mammies in the sheep shed. The first time I bottle fed an orphaned lamb, Jack commented that he’d never seen me happier! While I realise it’s all part and parcel of the farming gig, as an animal lover myself, I don’t like to dwell on what happens to them after they leave the beautiful green fields. So I take no issue with the fact that Jackson found it difficult to think about this little lamb going to the great big sheep shed in the sky. What I did bristle at, however, was her comment on how the idea of slaughtering a lamb for its meat was “so f*****g cruel,” and her promise to swear off eating meat as a consequence of this encounter with the animal. Jackson is, of course, entitled to her opinion, though as with anything, it would be preferable for that opinion to be informed by fact as opposed to emotion. The issue here is arguably less about what she said, and more to do with how she chose to say it — via Snapchat, a social media account that, based on her Instagram, Twitter and Facebook followings, no doubt boasts tens if not hundreds of thousands of friends. Indeed, the same week as the lamb incident happened, Jackson was named the “number one Irish lifestyle influencer globally” by SERMO, an influencer marketing firm. Her words carry clout. When Suzanne Jackson endorses a product on one of her many social media accounts, her fans will flock to buy it. She has the ability to colour the opinions and influence the behaviours of thousands who look up to her, aspire to be like her, and want to emulate her lifestyle. Which makes me wonder, how many of her followers will adopt a negative view of the farming industry in light of her comments, perhaps even choosing to give up meat altogether after being “inspired” by Jackson’s impassioned vow to do the same? And more worryingly, how many of her fans who may themselves be from farming backgrounds, would have been hurt by her outburst, or at the very least, left feeling confused or conflicted over divided loyalties? Whether or not Jackson’s response was an overreaction is besides the point. What I witnessed was, to me, a thoughtless display of reckless behaviour by someone with a stronger voice and a broader platform than most — someone who has the power to shape the views (and spending habits) of a significant number of people. Given the intensity of her reaction, I also can’t help but wonder about Jackson’s views on the production of the fine leather used in the unquestionably beautiful Louboutin shoes she wears so well. This is a woman who is fortunate enough to be in a position to buy luxury goods, but luxury goods come at a price. Real leather means real cattle have been killed and skinned. If the slaughter of a lamb for its meat is cruel, then surely, so, too, is the skinning of a cow in order to make shoes. Will Jackson soon swear off her Louboutins, too? I have no problem with someone choosing to become a vegetarian or vegan. Plenty of my friends have made that decision — for various reasons— and more power to them. However, if you’re going to adopt the stance for ethical reasons after broadcasting (to a mass audience) an emotional outburst on the injustice of it all, if you find the idea of slaughtering animals for their meat so abhorrent, then, by the same measure, wouldn’t you also shun products made using real leather, fur, or down, for example, as well as cosmetics by any and all brands that have been found to support testing on animals? I’ve written before about how my time with Jack has been an education, offering insight into a way of life about which I previously knew so little. Whether through my own experiences or his, I’ve gained an understanding of both the challenges and rewards that come with farming full-time. At no point in the year is that dichotomy more pronounced than now, when men and women up and down the country and indeed, across the world, sacrifice all semblance of normal routine in order to ensure the safe arrival and subsequent upbringing of the healthy lambs and calves that will contribute so significantly to their livelihood. To those who walk the fields each day and rear the animals, it’s a way of life. To the rest of us, it’s a world unknown. And without a solid and accurate understanding of the methods, practices and processes that define this way of life, we are in no position to cast judgement. I can only assume that TV3 included the segment on lambing to help shed light on what goes on on farms around the country at this time of year so that more of us can have an awareness and appreciation of where our food comes from. If that is indeed the case, then Jackson’s response must, unfortunately, go against everything the broadcaster had hoped to achieve. In closing, I would simply offer a gentle reminder of the advice we’ve all received at one point or another: that is, to think before you speak . . . or Tweet, or Snap. Brilliant post and so well written! The sheer ignorance of her comments were shocking! Did she not know where meat has come from all these years?! Well written, I was stunned by Jackson’s response – it’s not like lamb is disguised as anything else marketing wise – lamb is lamb …. ignorance! !